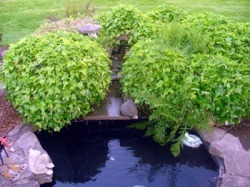 Welcome to the Longview Washington Express Landscaping company website. Express Landscaping is a Longview, WA base company that specializes in Industrial, commercial and residential landscaping and lawn care services, ground maintenance and property preservation work. Visit our services page to see a complete list of the work we do. We are experienced, dedicated and always strive to earn you respect and future business by providing high quality job at a reasonable price in a timely manner. For all you landscaping and lawn care service needs in the Longview, Kelso and surrounding Cowlitz County Communities.